India’s check-list ahead of the second Test against West Indies would have revolved around the forms of Ajinkya Rahane and KL Rahul. Virat Kohli, Cheteshwar Pujara, the newcomers Prithvi Shaw and Rishabh Pant, and even Ravindra Jadeja made big runs in the first Test, while Rahul and Rahane missed out. Rahul fell for duck, while Rahane made 41. Given the infusion of fresh blood in the batting unit, India would have wanted the experienced Rahane and Rahul to get among the big runs before the tour of Australia. Rahul missed out, struggling for 4 off 25 before being bowled by Jason Holder, the ninth consecutive time he had fallen bowled or lbw in Tests. Fortunately for India, Rahane didn’t. He remained unbeaten on 75 at stumps, along with Rishabh Pant (85), as India ended on 308/4, three short of Windies’ score. Rahane will be even more pleased with his effort on the day because, unlike in the first Test, things weren’t easy for India’s batsmen. With more than 300 on the board, Windies’ bowlers did manage to put India’s batsmen under pressure at different stages, which meant the hosts had to battle it out to be back on top. That’s what Rahane did, taking as many as 174 balls for his effort. The situation and the bowling meant he had to respect the opposition, which he did by playing 124 dot balls. Importantly, he was crucial in stitching partnerships in the middle order and ensuring India ended the day in control of the game. Windies would have particularly sensed an opening when Kohli fell at 162 for 4, but Rahane and Pant shut them down with an unbroken 146-run stand. It’s situations like these that show how crucial an in-form Rahane is for the Indian team. At No. 5, he is the glue that holds the top and lower order. With the likes of Pant just about settling into the Test set-up in the lower order, Rahane’s form could well make the difference between a steady performance and a collapse in case Kohli fails, particularly in overseas conditions. It came to the fore on Saturday; throughout their association, Rahane was seen constantly advising Pant, ensuring the youngster never gets ahead of himself while trying to attack. A confident Rahane is crucial also because it will relieve pressure off Kohli in overseas Tests. The instability at the top of the order and the inexperience at the bottom leaves the onus on Kohli and Rahane at No. 4 and 5. How they go as a pair could well decide how India fare in Australia. Among the current crop of Indian batsmen, Rahane and Kohli are the most successful pair with 2694 runs together from 46 innings. They average close to 60 as a pair, and have as many as eight century and 12 half-century stands. Their numbers in tough conditions overseas are impressive too; they average 55.52 in South Africa, New Zealand, England and Australia with six half-century and four century stands. The Rahane-Kohli association is one of the reasons why India had an impressive run in overseas Tests four years earlier. The captain and his deputy were terrific together then in Australia in particular; they added 101 in Adelaide and followed it up with a brilliant stand of 262 in Melbourne. Rahane’s average form this year has meant Kohli has had to wage lone battles, often running out of partners. 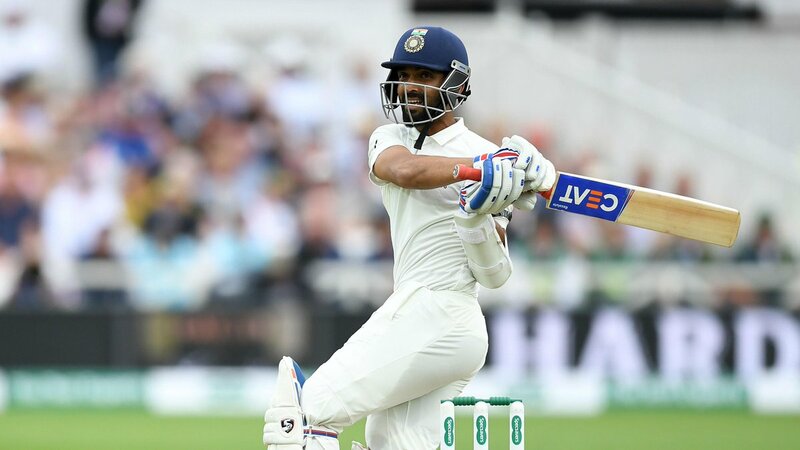 It’s no coincidence that the only Test India won in England in the recent tour came when they added 159 for the fourth wicket in the first innings of the Nottingham Test. Their 101-run stand in the fourth innings of the next Test in Southampton kept India in the hunt, but once that ended, the chase fizzled out. In short, Kohli and Rahane have often been the last hopes of the Indian batting line-up in overseas conditions. 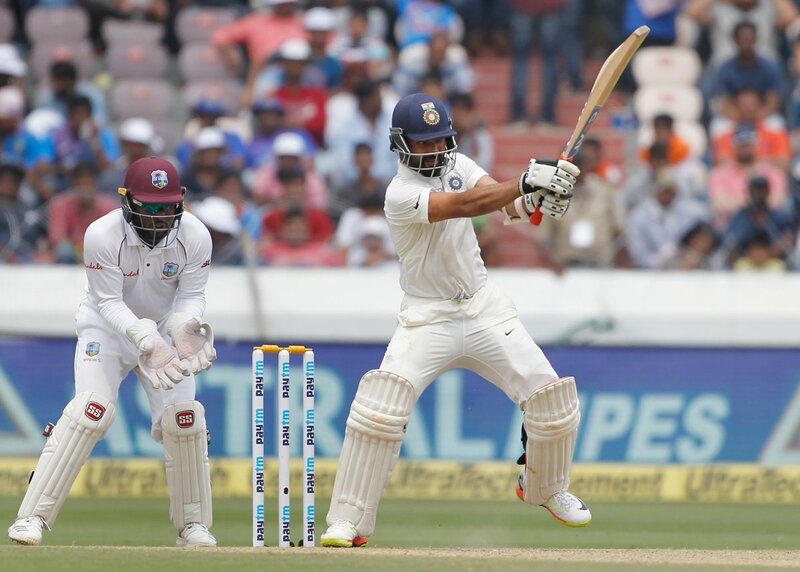 In potentially good signs for India, Rahane is gradually finding his touch once again. The duo added 105 together in the batting fest in Rajkot, and a small but crucial 60 in the ongoing Test in Hyderabad. They came together when Prithvi Shaw and Cheteshwar Pujara fell in a space of nine balls and put India on track again, even when Windies’ bowlers went through some good spells. Over the last two years, Rahane has earned a reputation of being a specialist overseas and a struggler at home. Before the Test, he had an average of 33.12 in India compared to 46.32 abroad. This was Rahane’s first 50+ score in India in ten innings. He doesn’t have a century at home since his 188 against New Zealand two years earlier. If that changes on Sunday, it will do a world of good to Rahane’s numbers at home, and his confidence ahead of Australia. India will need the latter, for it can’t be all about Kohli alone.